Wednesday we a day of rest for us girls. I was up fairly early (thank you Ivy dog for vomiting for no apparent reason at 6:45am. I came out to the couch with the pets, and read my book. Sugar slept until almost 10am. I believe she needed it. We really did a whole lot of nothing the rest of the day. Painted....well, I did, and watched some TV. 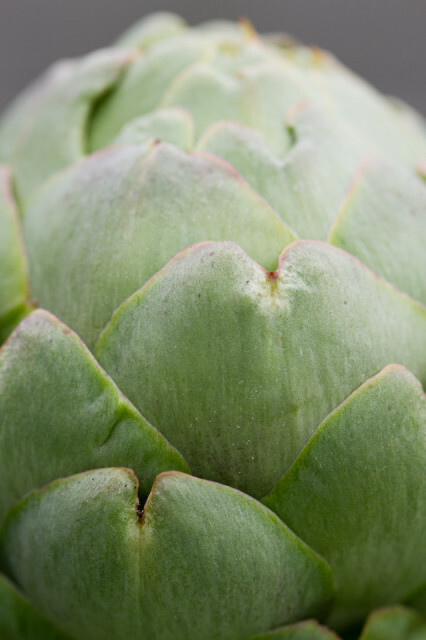 I took a shot of our first artichoke of the season. It is growing nicely.